As I have grown more confident in my “real food” choices, the next item on my list is cosmetics/beauty products, and household cleaning supplies. I think changing my make-up is the hardest thing, I’m so attached to my familiar products. Plus, I can’t even begin to understand all the crazy stuff in the ingredients list on most items. Seriously, most of the words are like 20 syllables long. I rely on the EWG Cosmetic Database to help me with these choices. It’s not a perfect solution, but it’s better than anything else I’ve found. 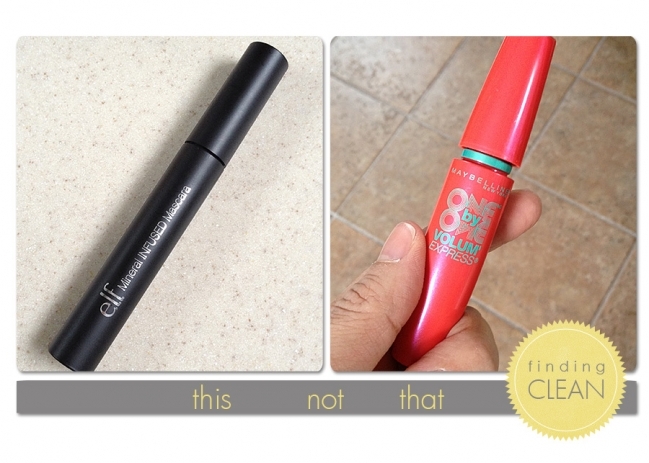 So, here is the mascara I’ve recently been using, and I like it. It’s only $3 at Target and it’s in the GREEN zone for toxicity. Please share if you have any other favorites. (On a side note, The Environment Working Group is such a wonderful organization. They provide a database for cosmetics, sunscreens, cleaning products, and the Dirty Dozen guidelines. The work they do is so important and we donate a monthly amount to their efforts). © 2019 Finding Clean|ProPhoto Photography Blog by NetRivet, Inc.